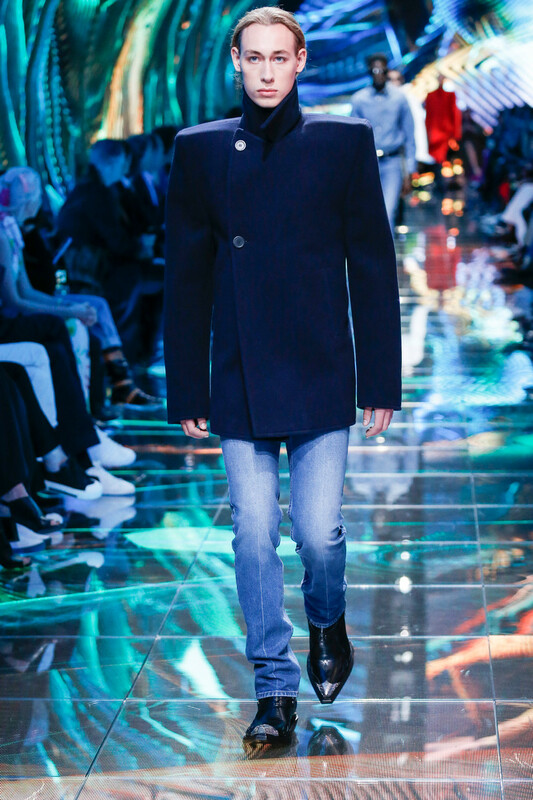 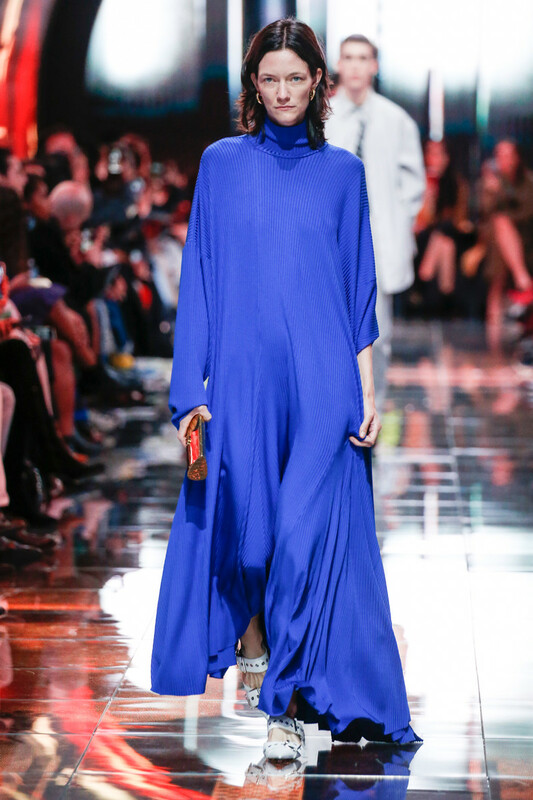 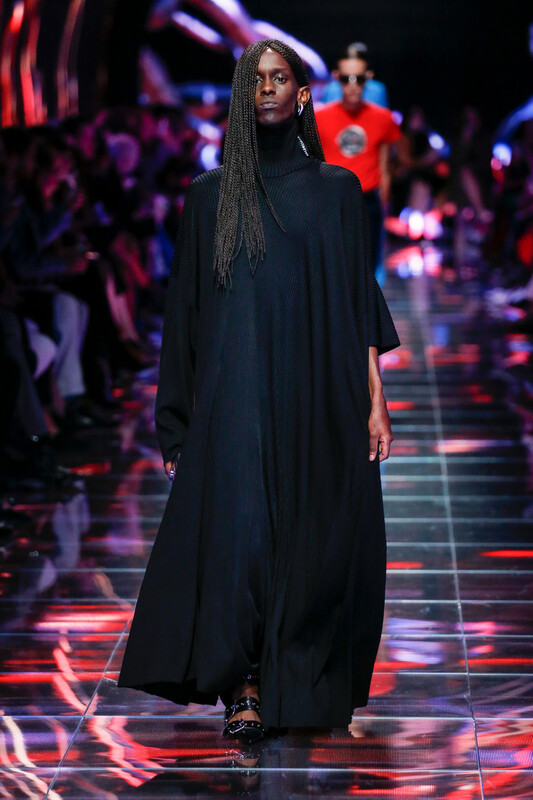 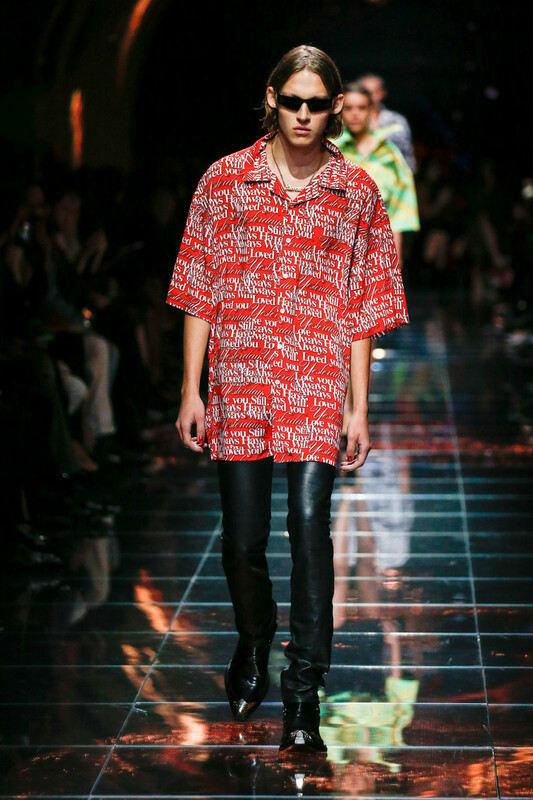 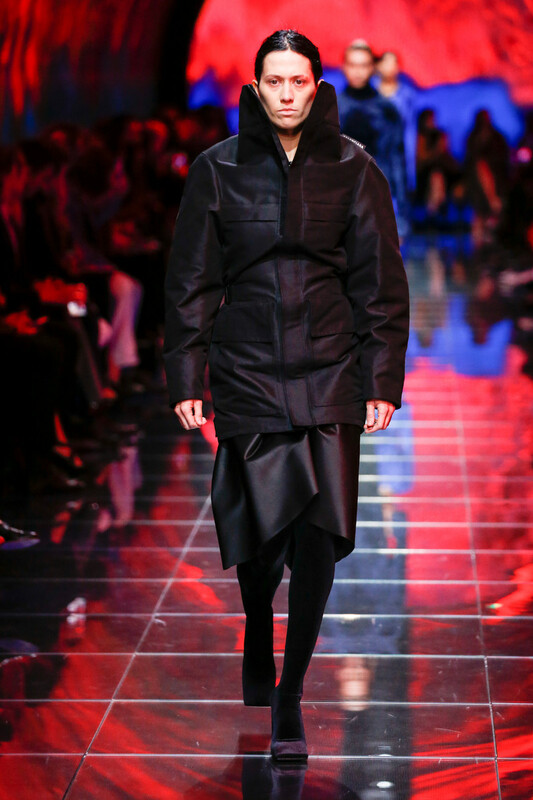 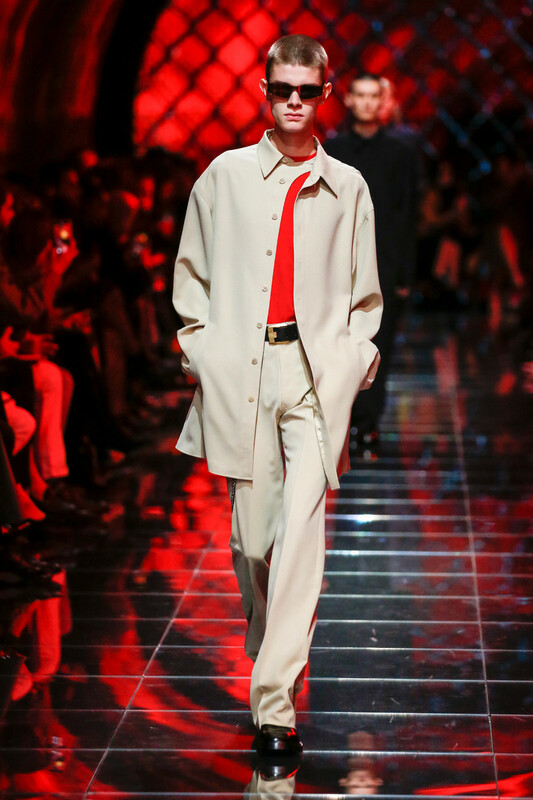 Forget the basic idea of a runway show; straightforward, clean, with nothing else to focus on than the clothes. 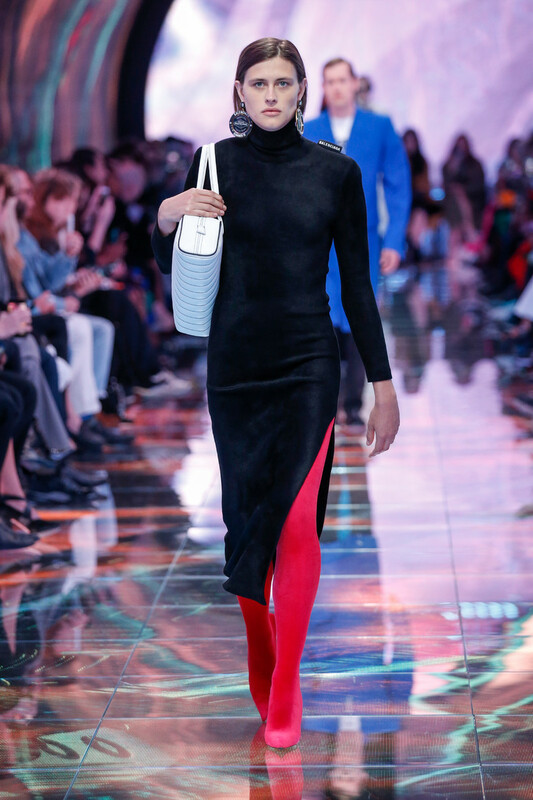 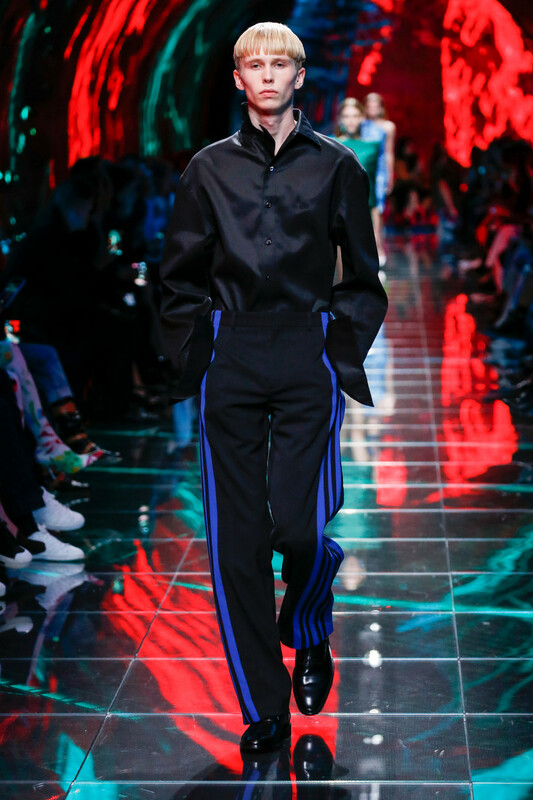 For Balenciaga Demna Gvasalia decided to do a completely different version of that. 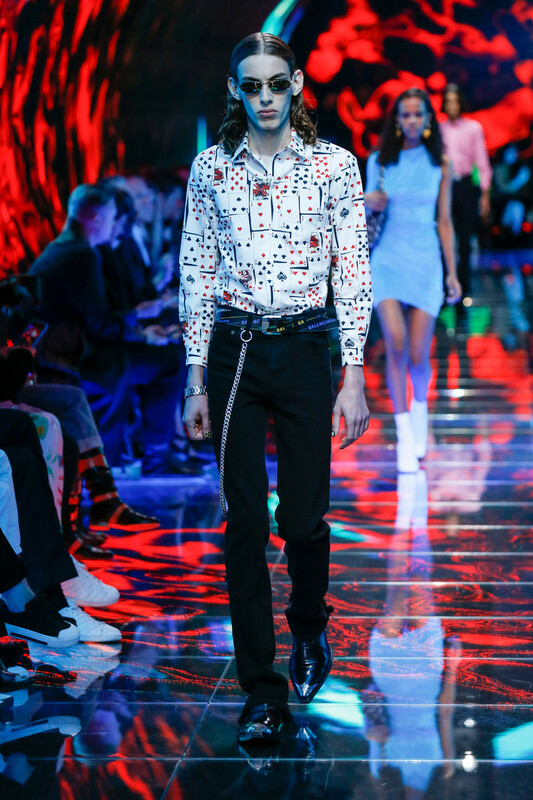 “I always had this idea of a video tunnel, like being inside someone’s digital mind,” he said. 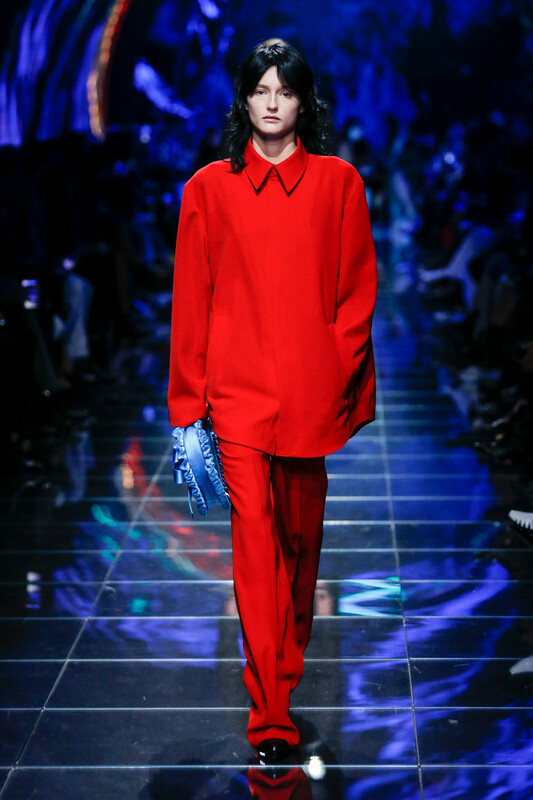 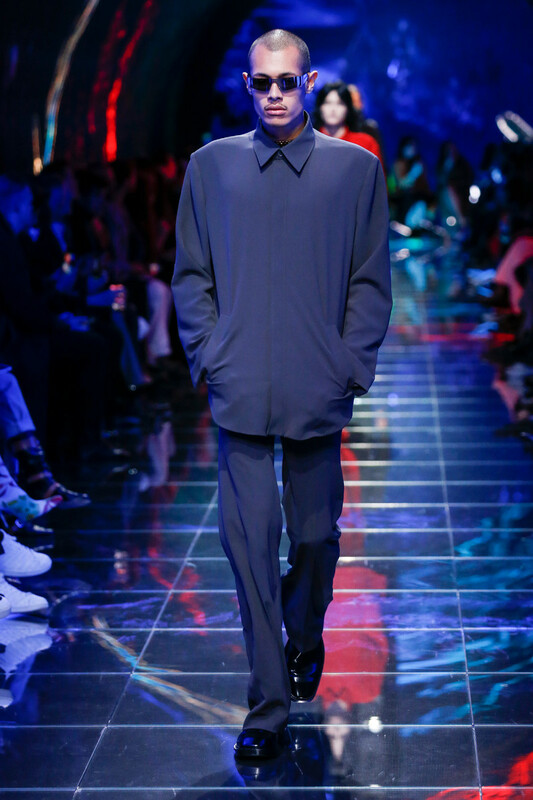 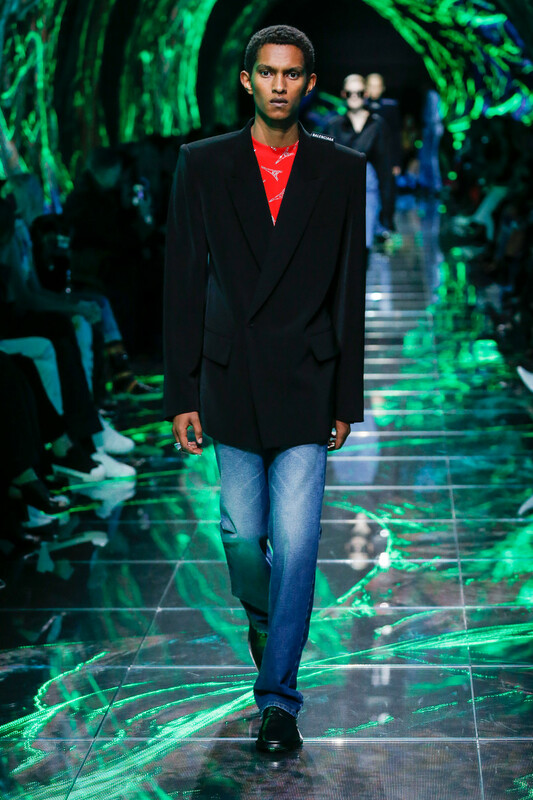 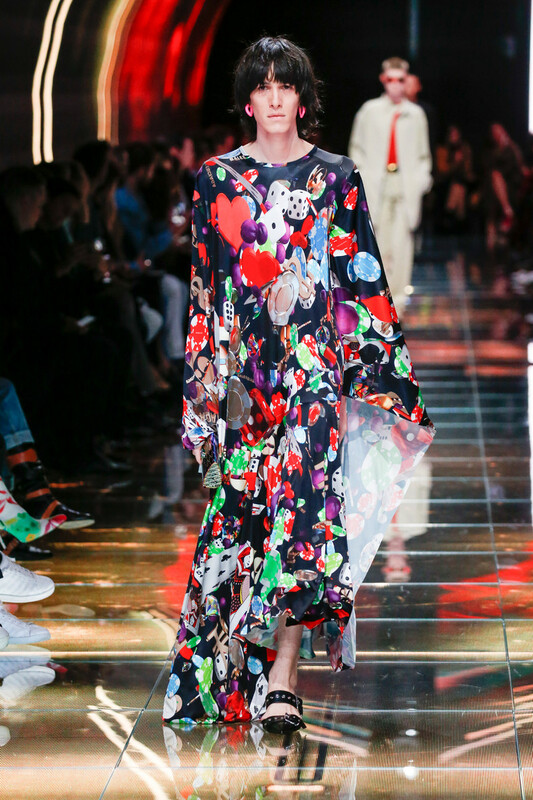 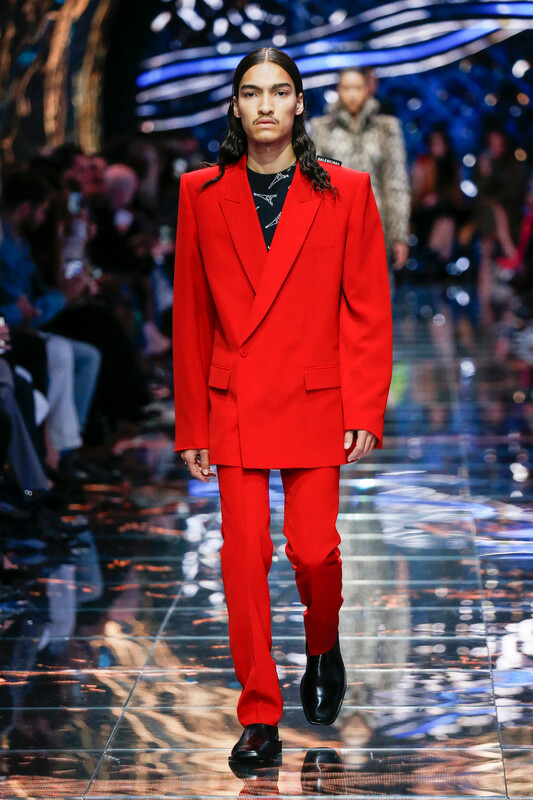 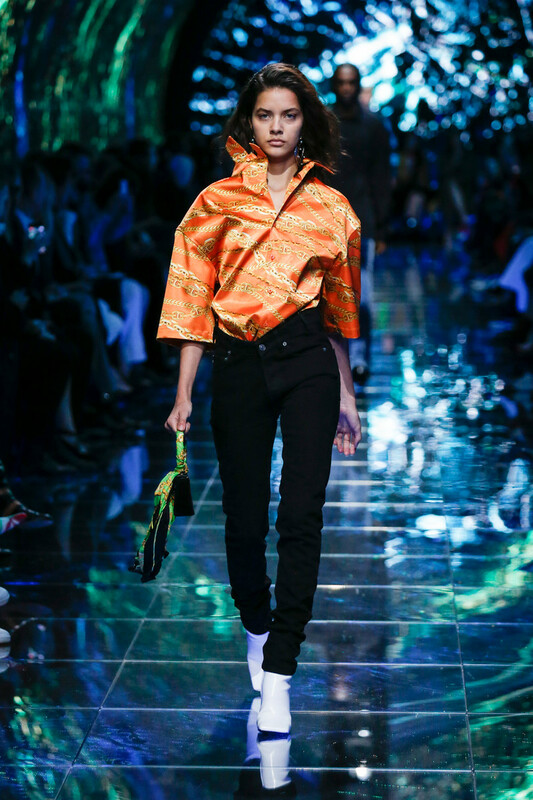 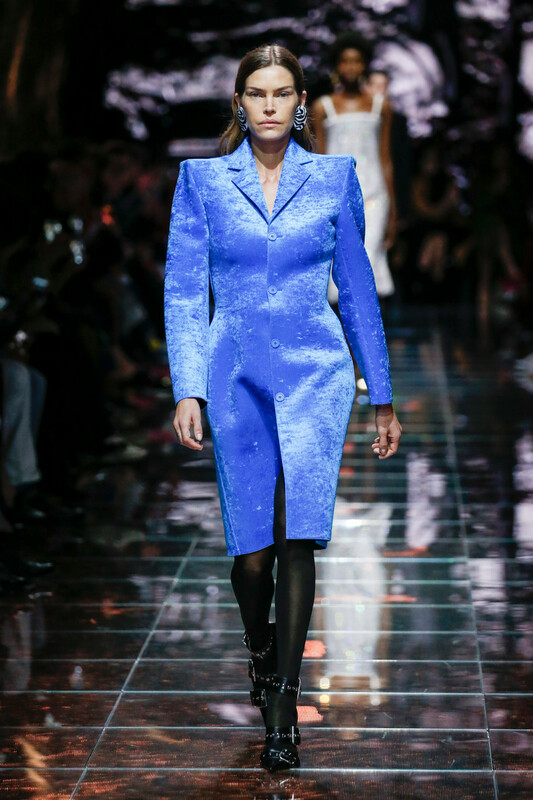 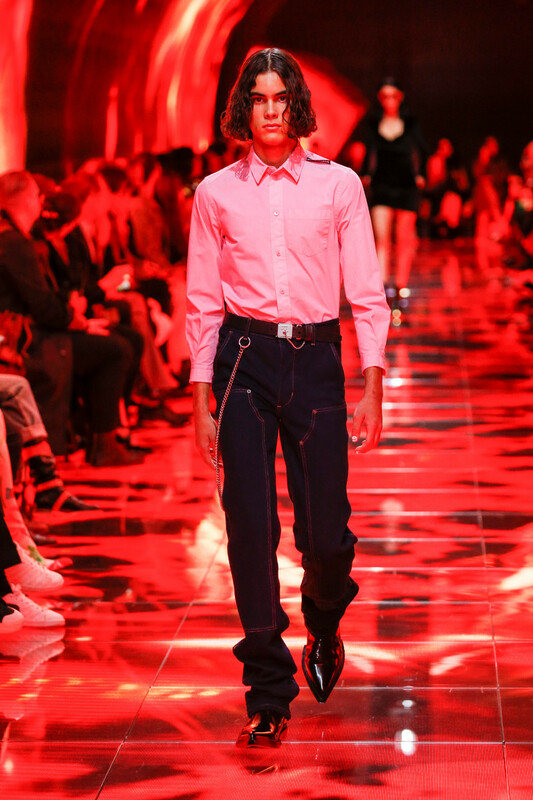 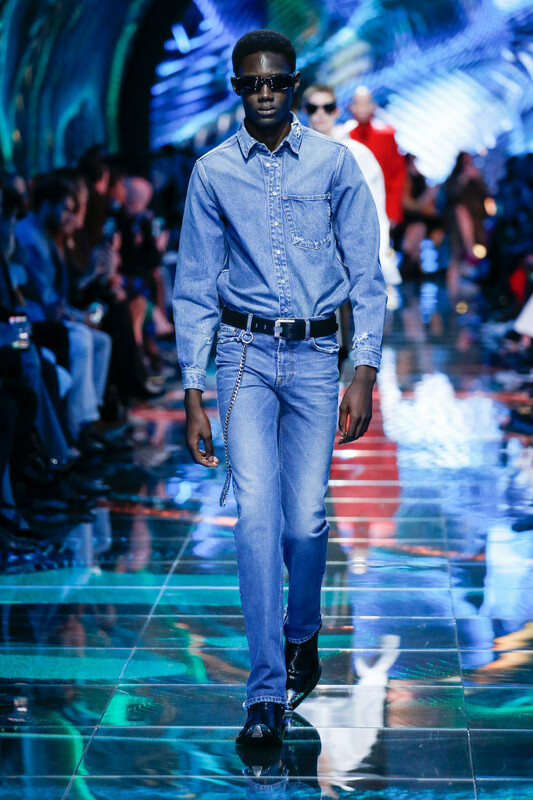 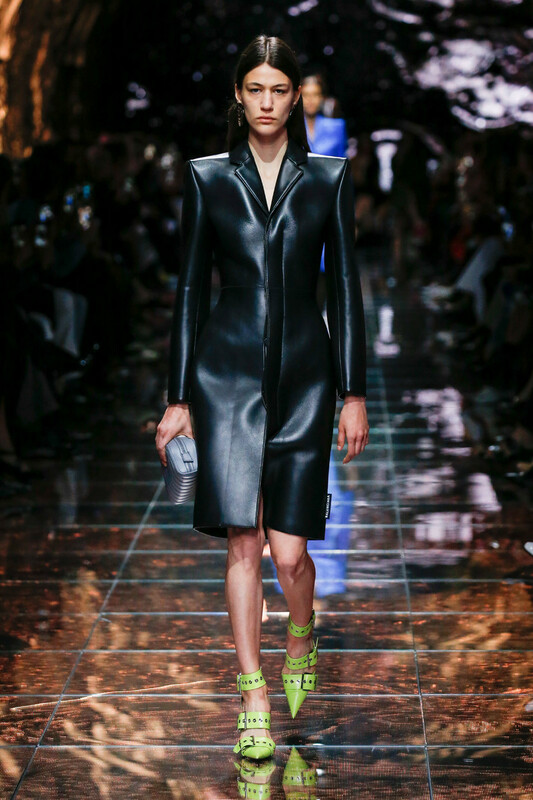 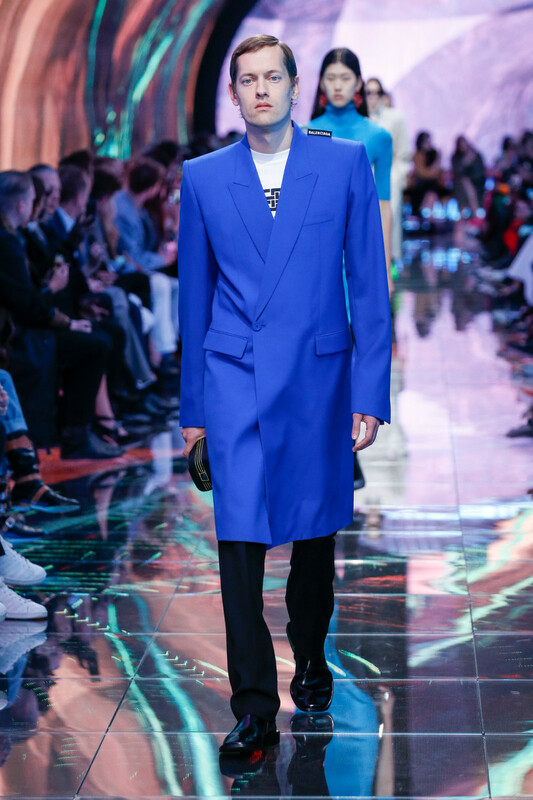 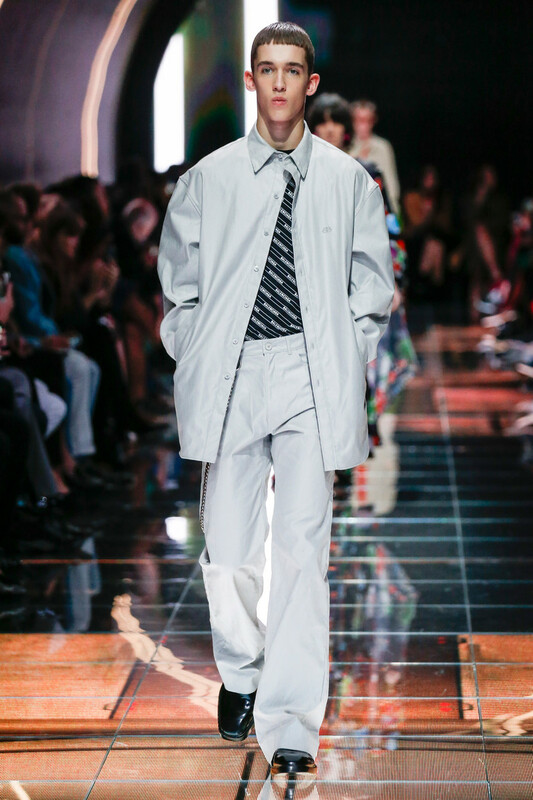 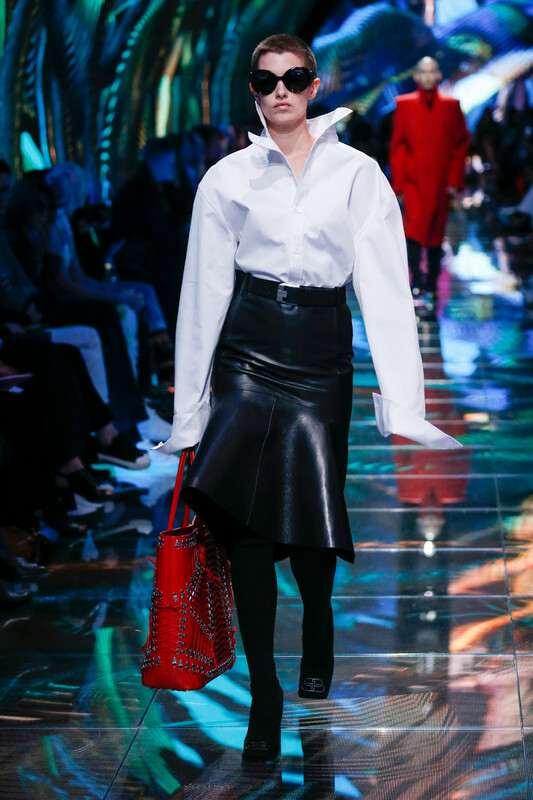 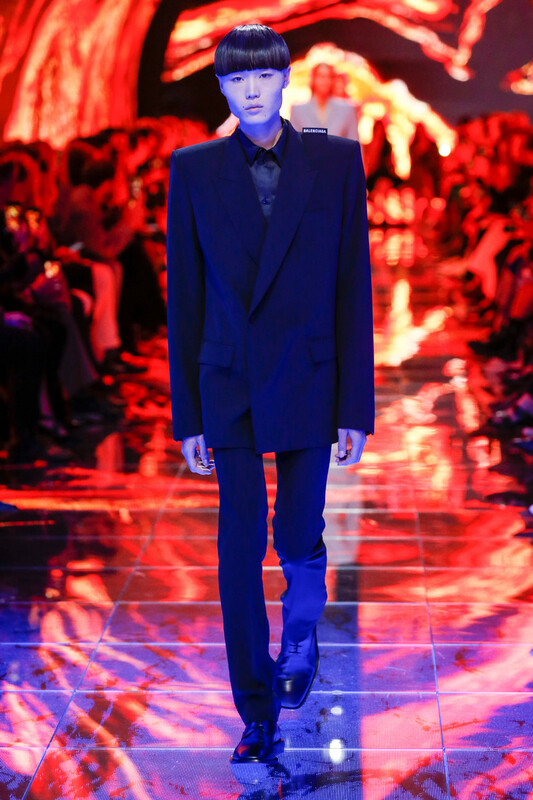 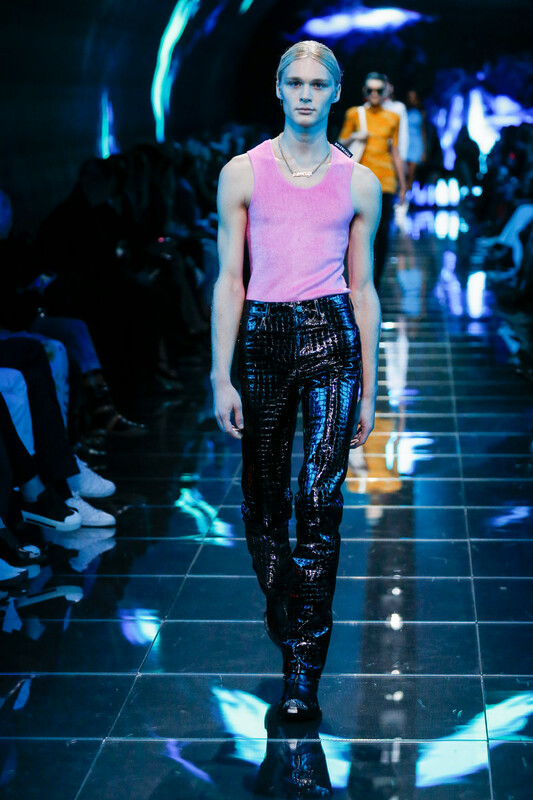 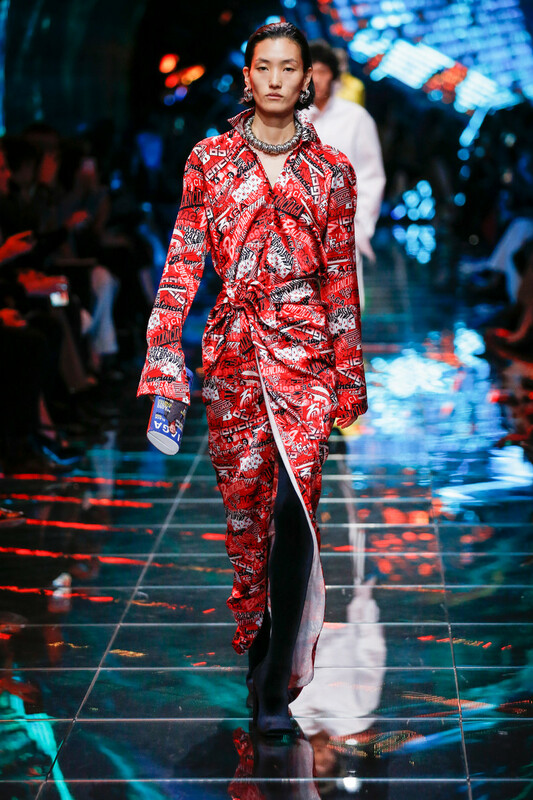 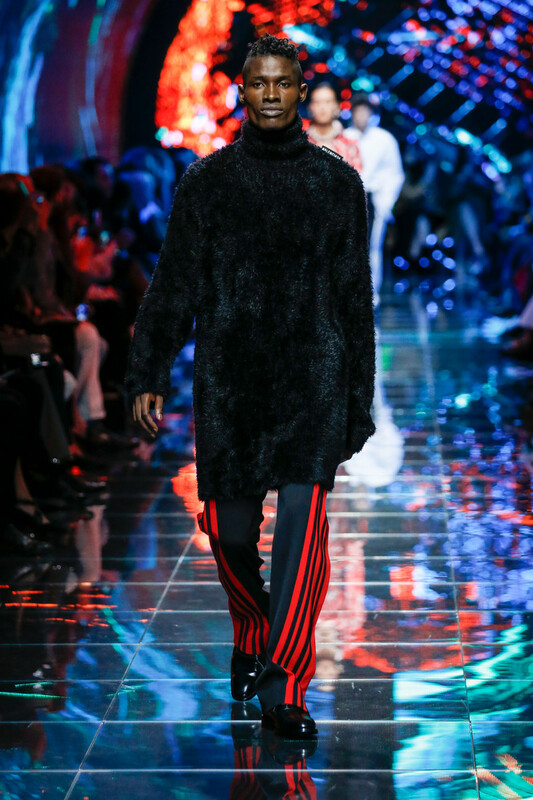 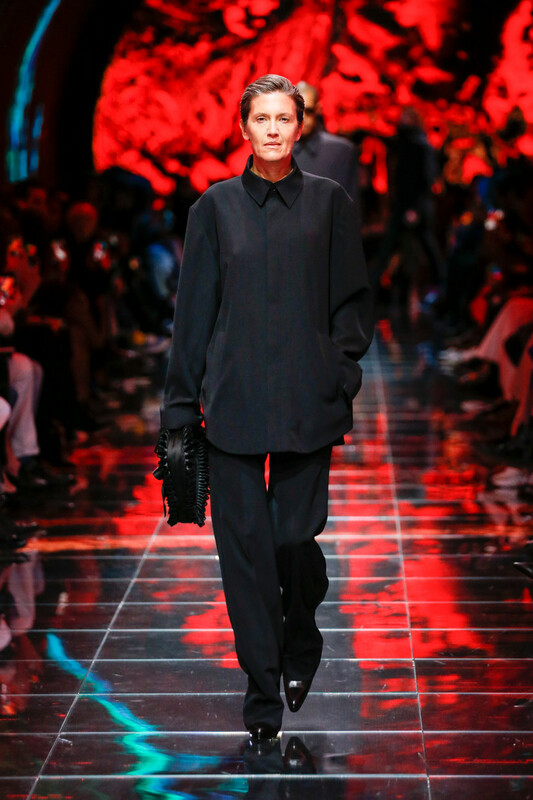 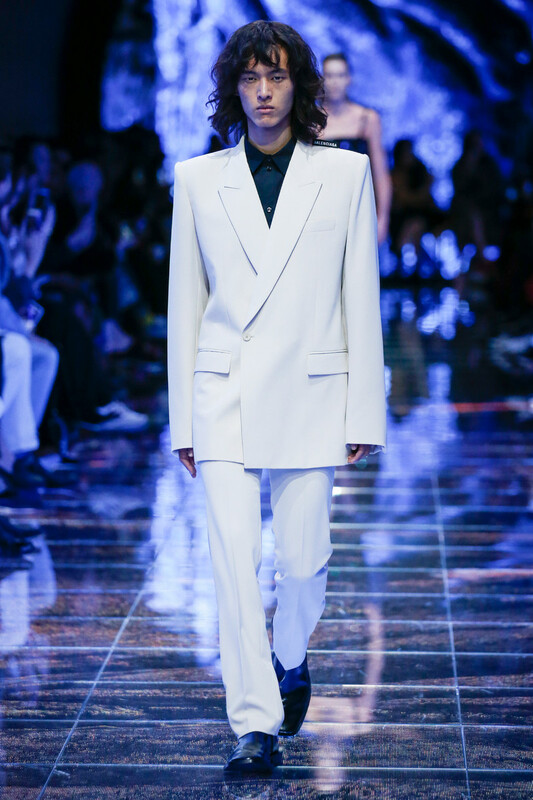 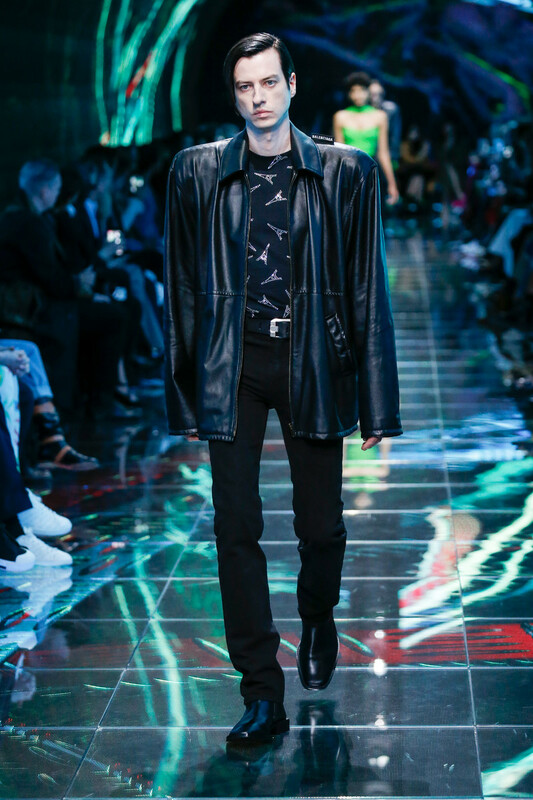 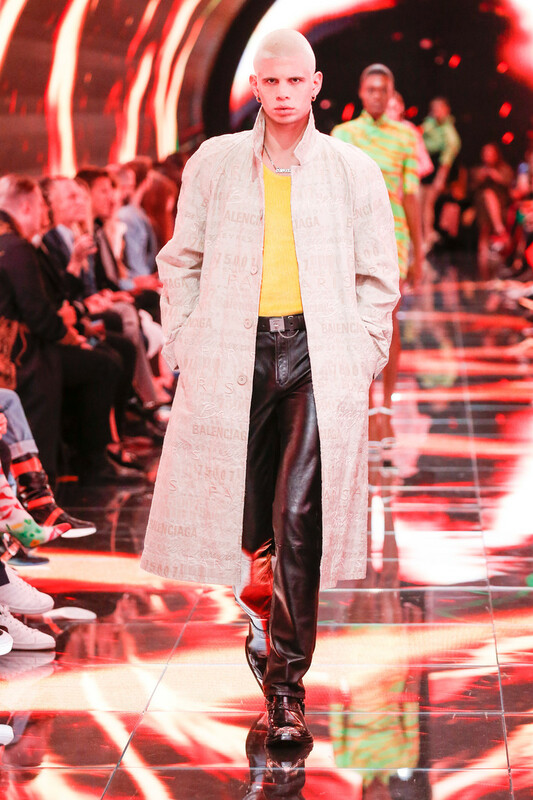 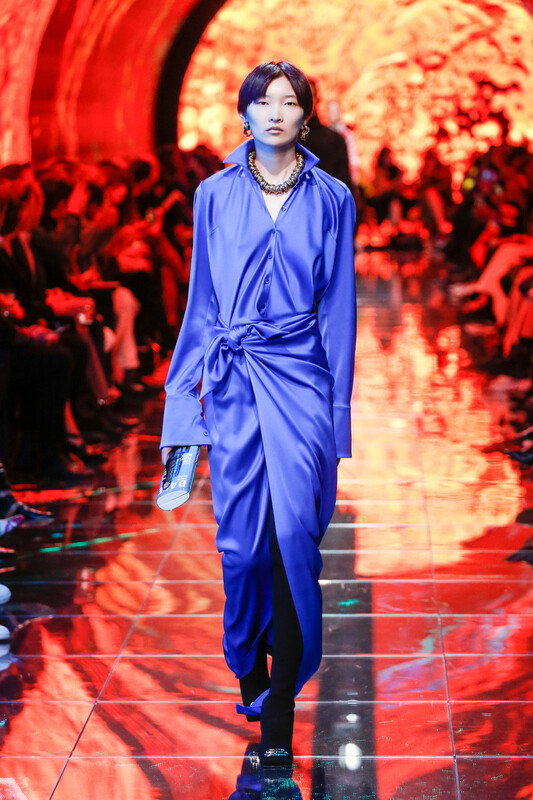 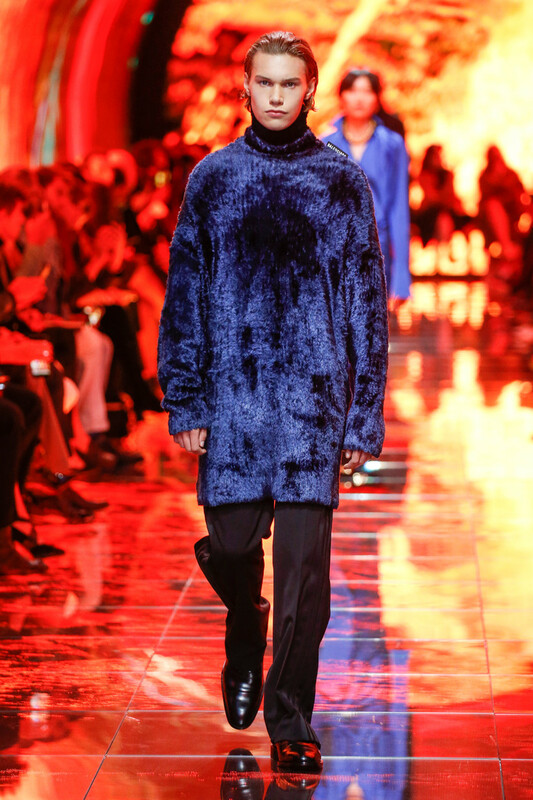 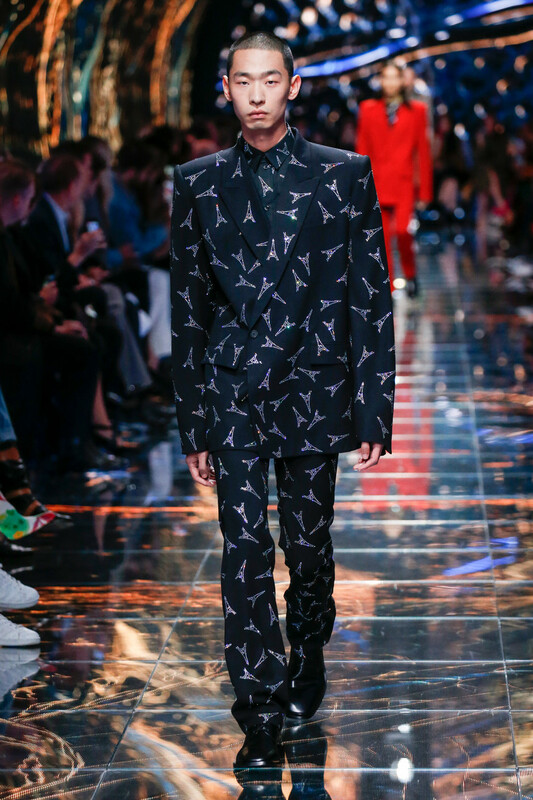 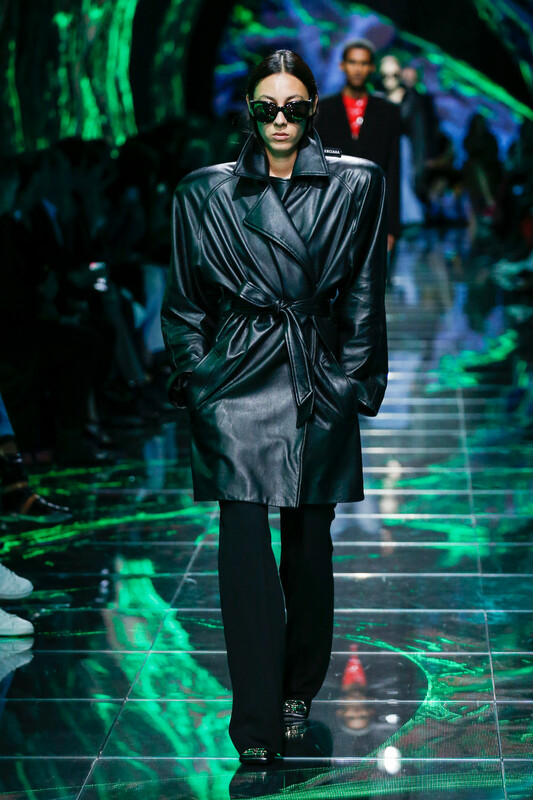 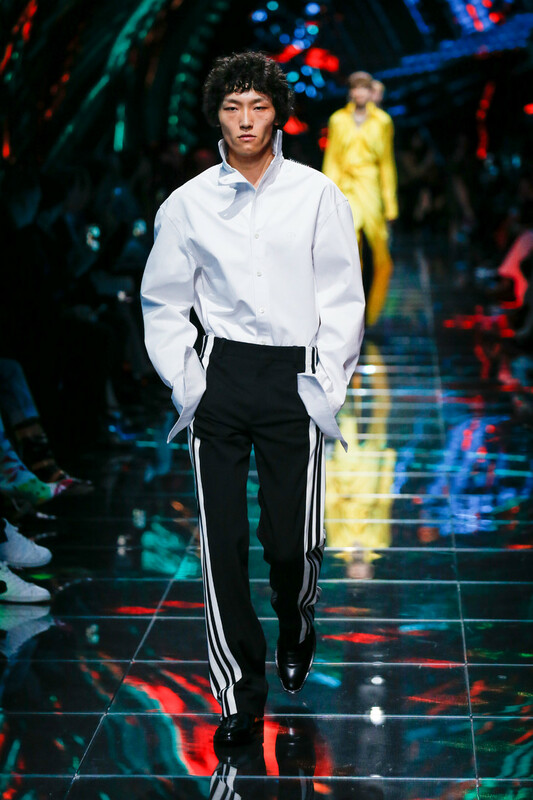 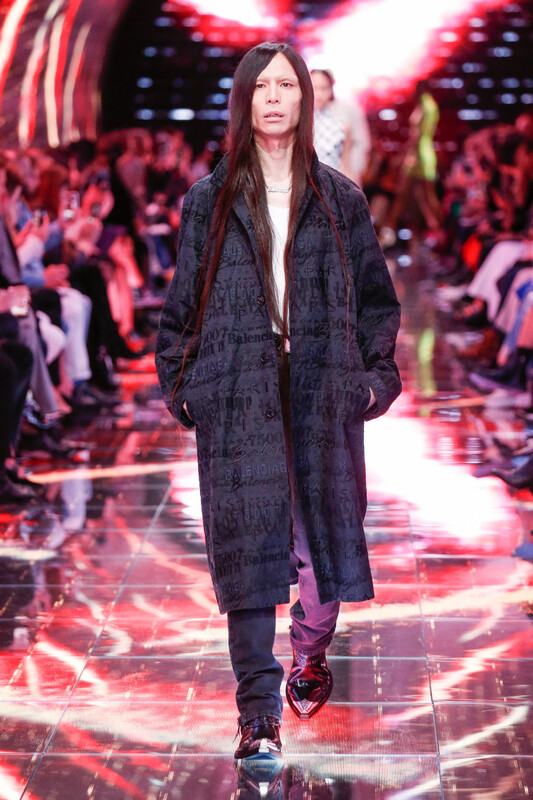 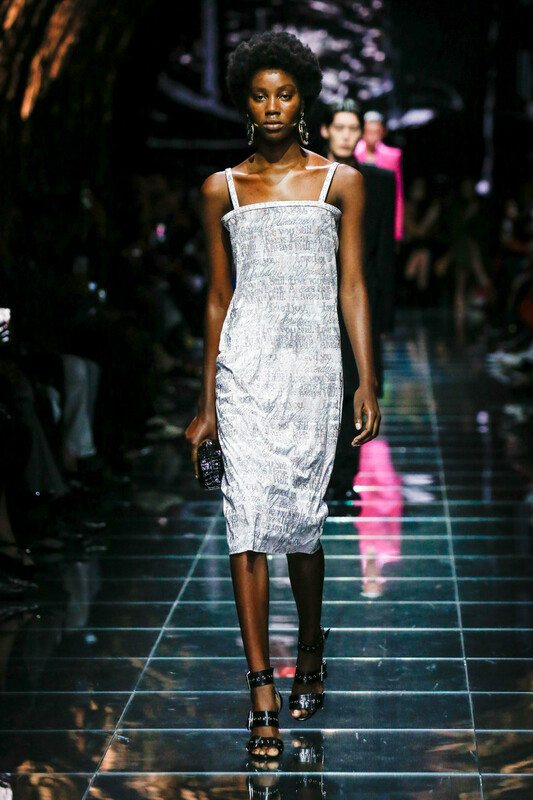 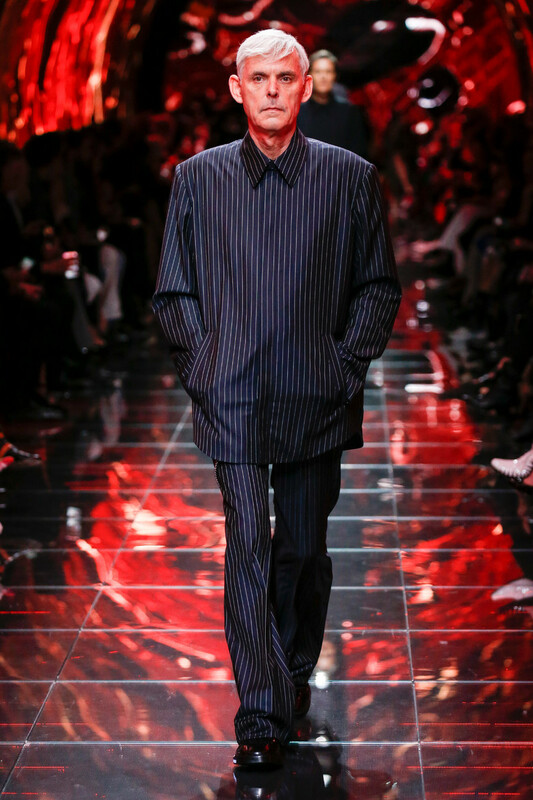 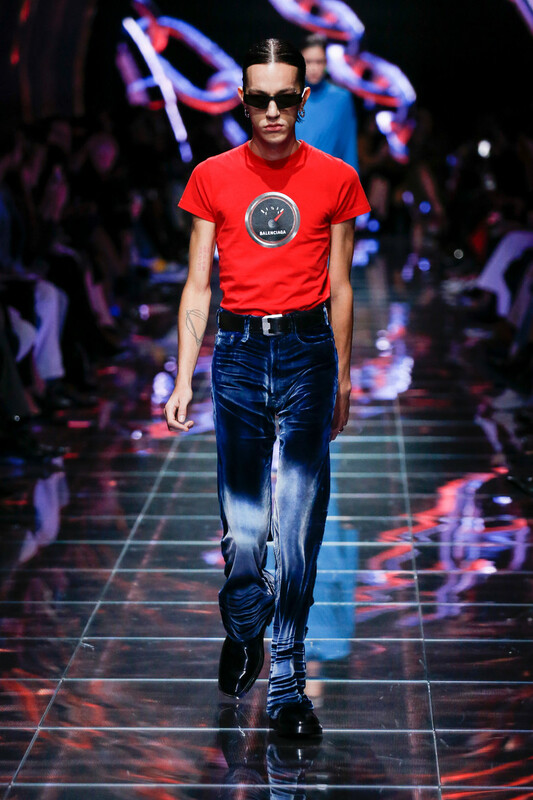 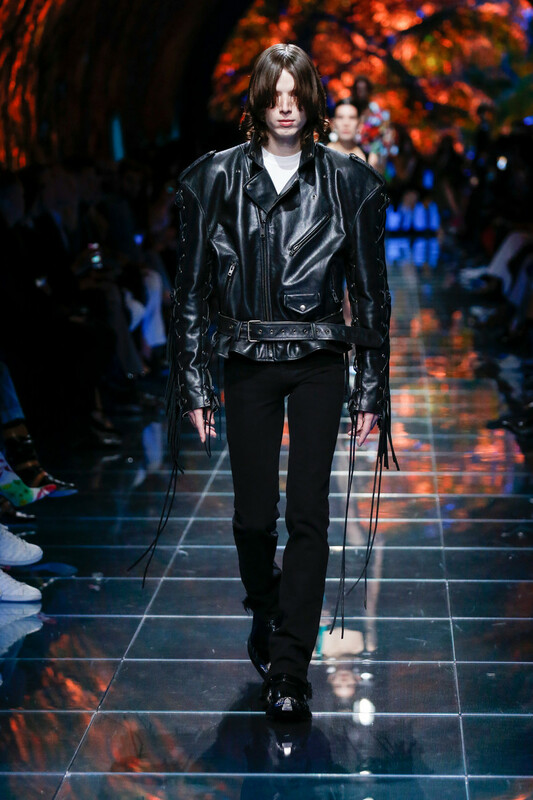 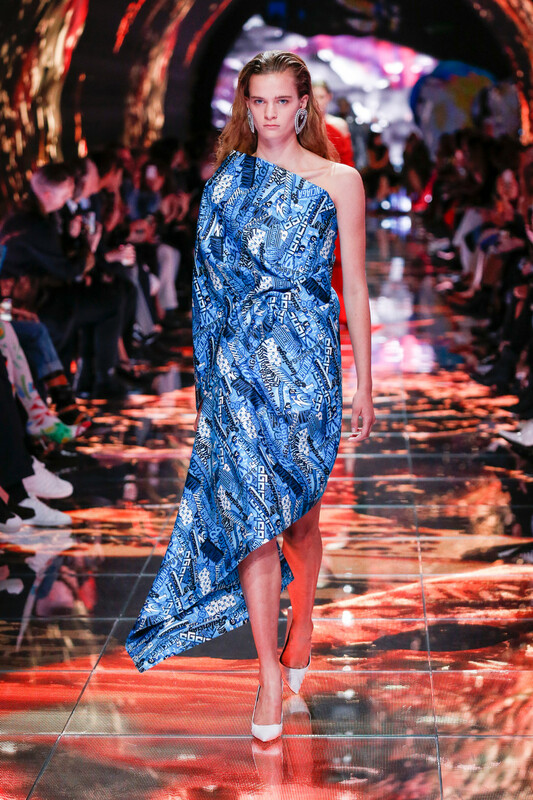 It was as if he transported us to a different dimension, a Balenciaga tunnel in which his eighties inspired looks followed up on each other. 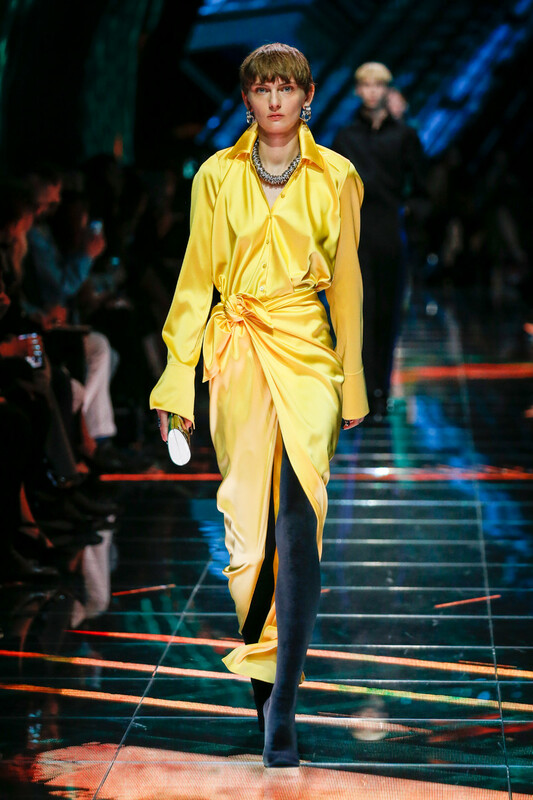 Strong shoulders, bright colors. 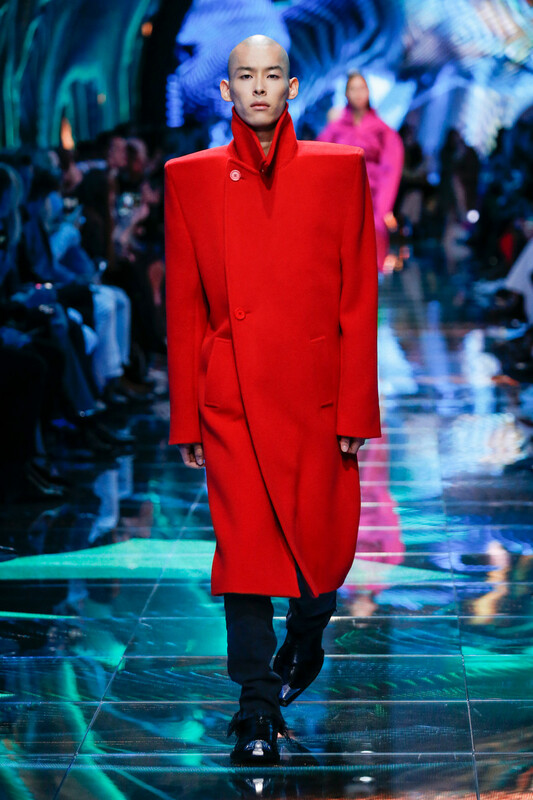 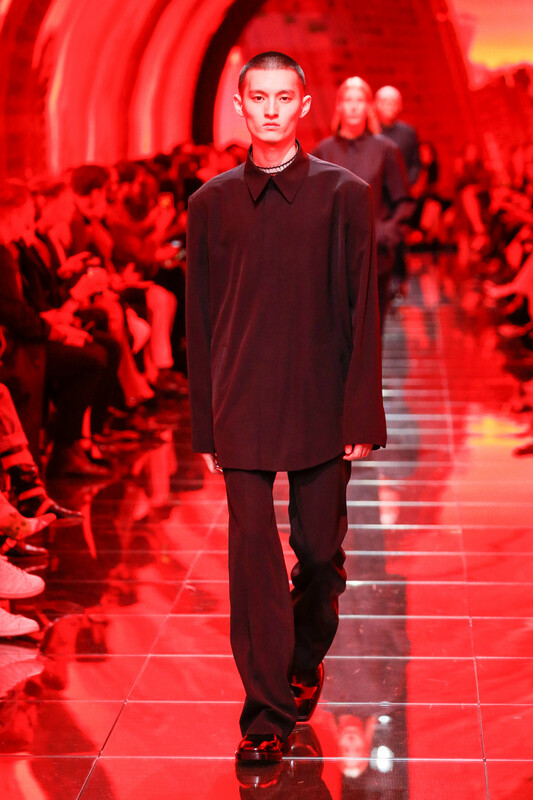 Dark pants or leggings and boxy tops (An extremely boxy red menswear coat could’ve come straight out of Kanye’s latest video). 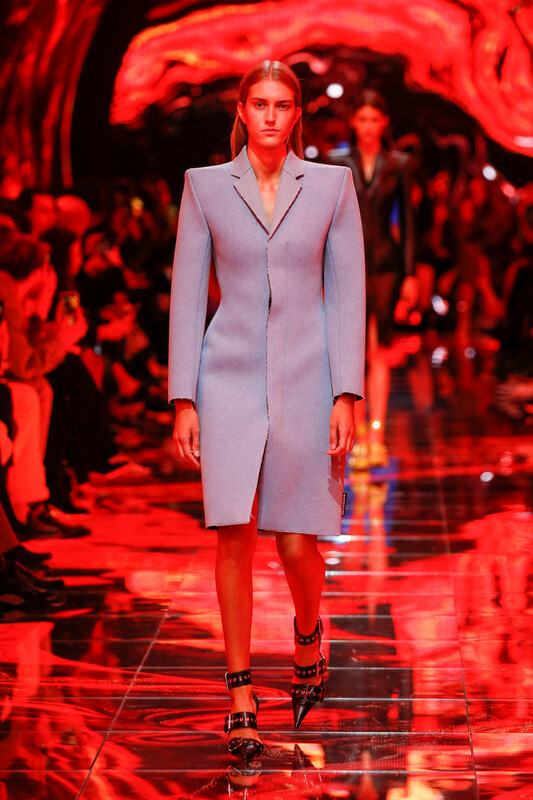 Oversized suits for the guys, large structured dresses for the girls. 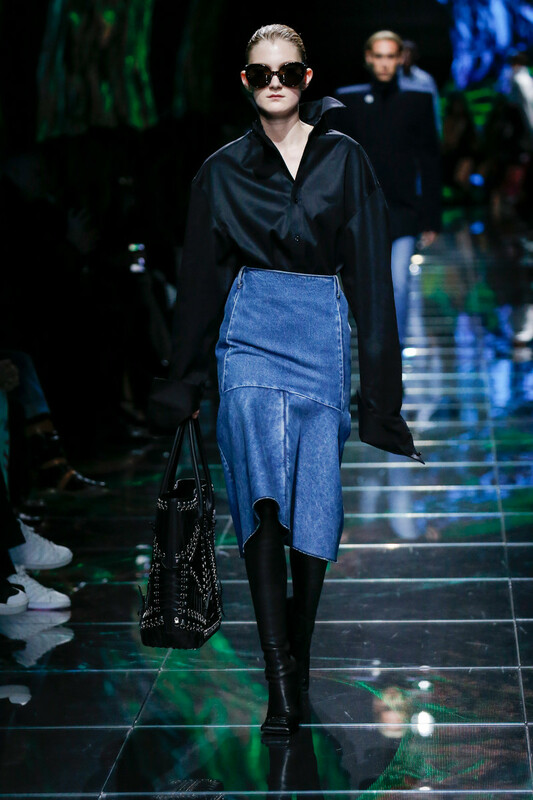 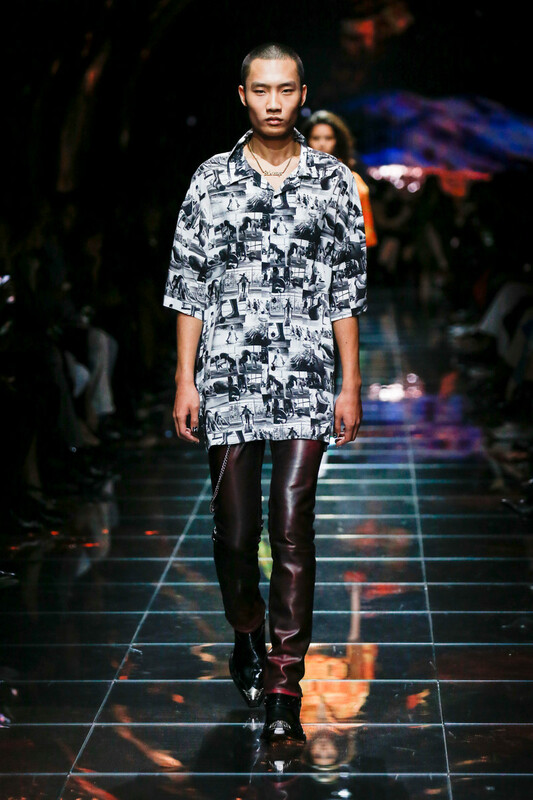 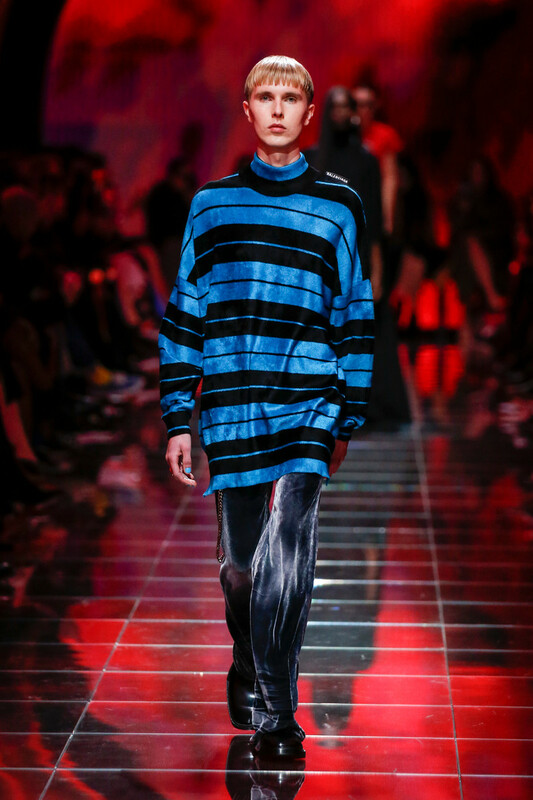 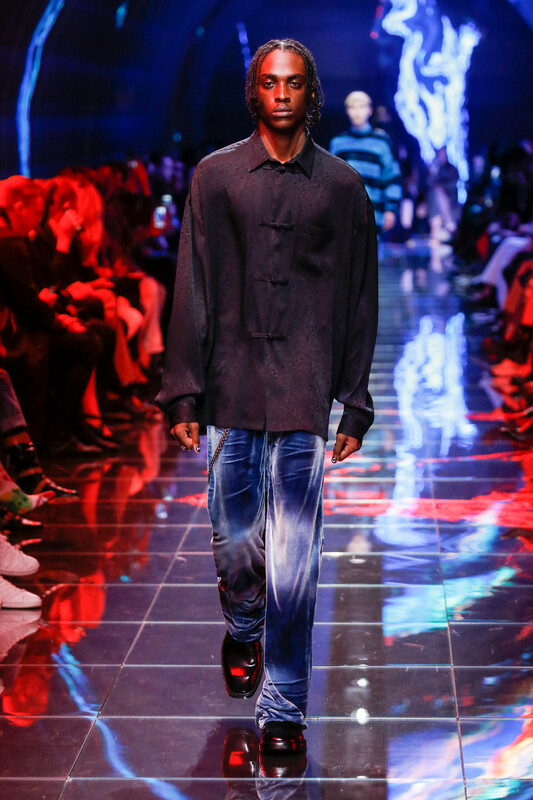 Joggers, printed shirts, indigo denim, oversized leather jackets, flute sleeve party dresses and pinstripe looks. 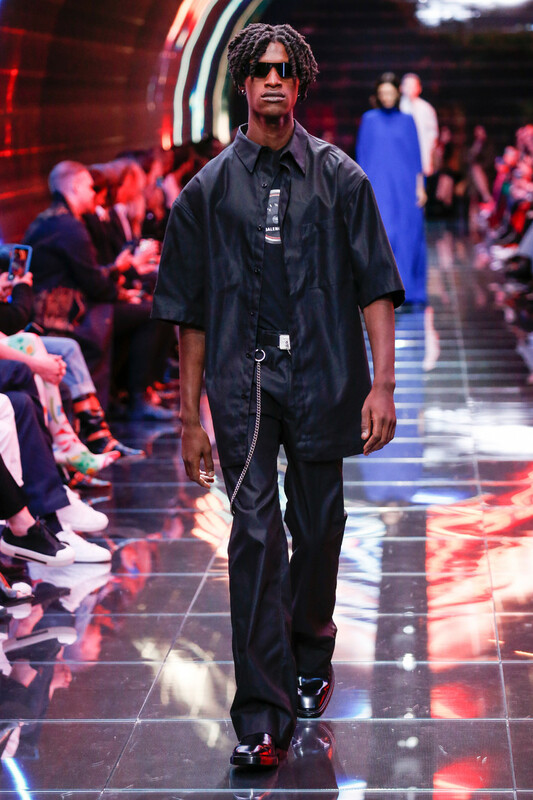 Lots of logo’s at display. 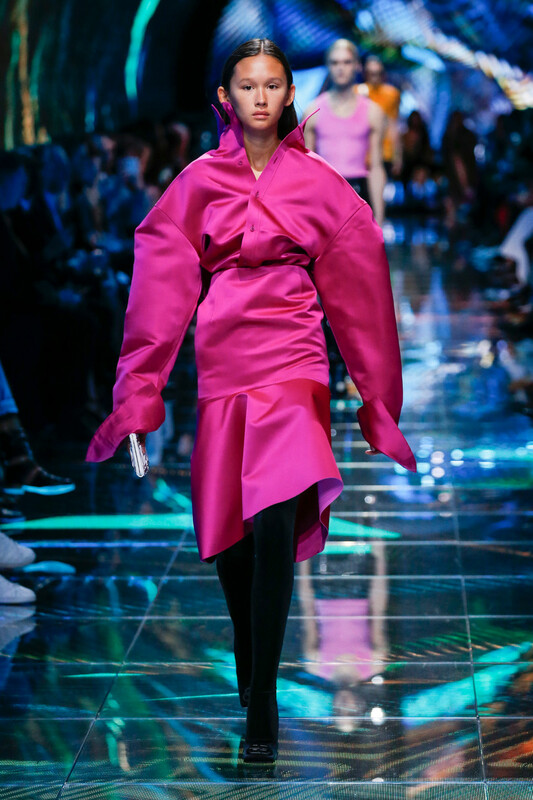 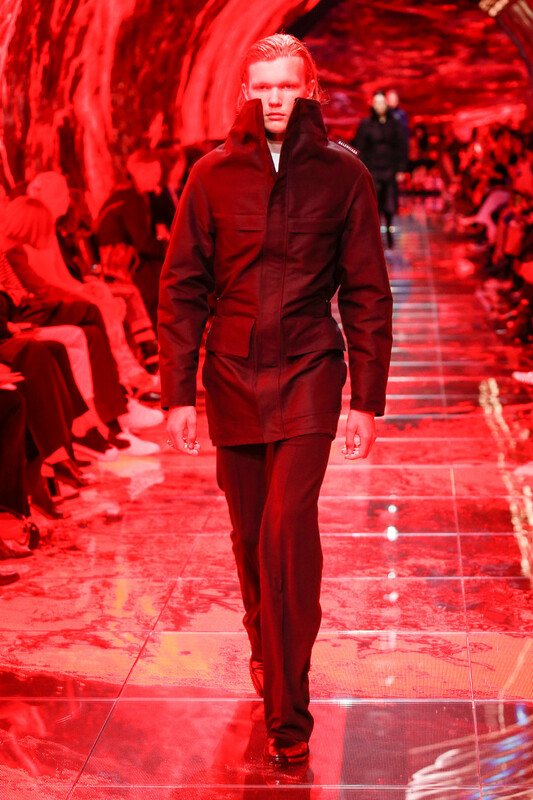 Had we just traveled back in time or was this Gvasalia’s take on the fashion of the future? 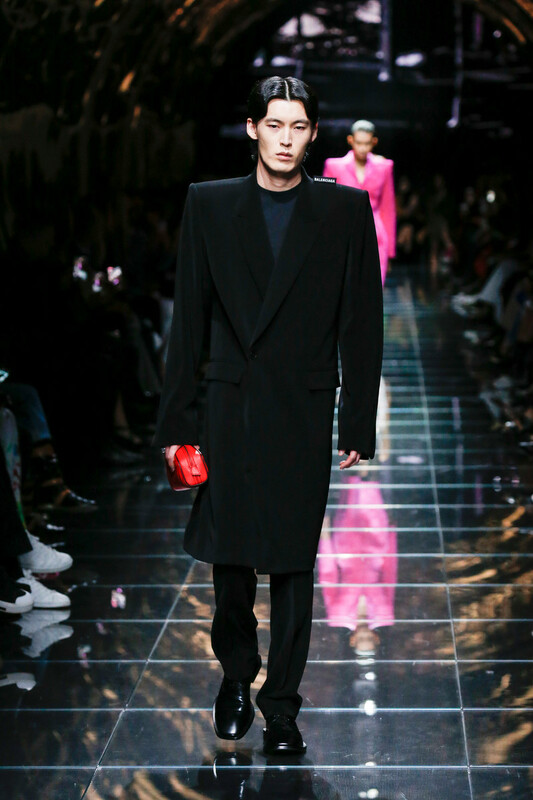 I guess the new silhouette gave it away. 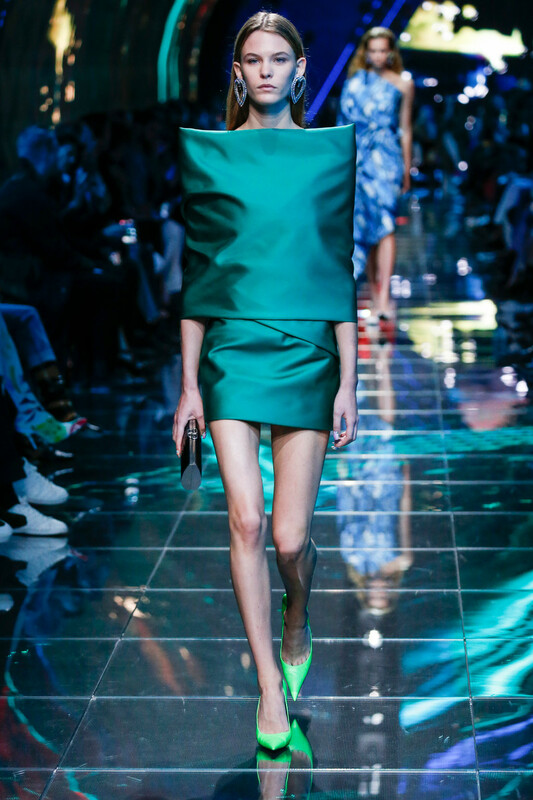 This was the designers vision on what we’ll be wearing the upcoming years. 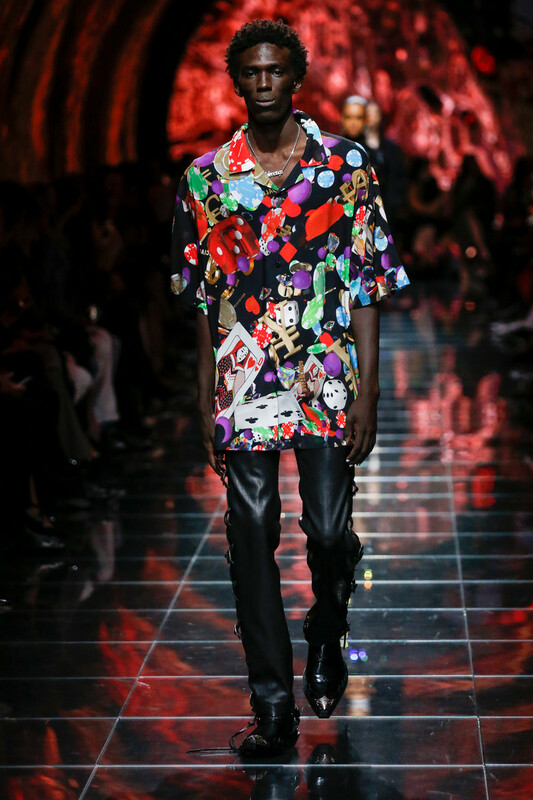 And given the success of his recent collection we don’t dare to argue.